77% of consumers would buy books second hand, whilst 62% would buy previously owned vinyl and CDs. States brand new research conducted by YouGov on behalf of Cybertill. When we look at a breakdown of these results, 82% of 35-44-year-olds selected that they would purchase books second hand, followed closely by the 45-54 age group (79%). Interestingly, 73% of Gen Z (18-24-year-olds) would by books second hand, along with 77% of 25-34-year-olds. 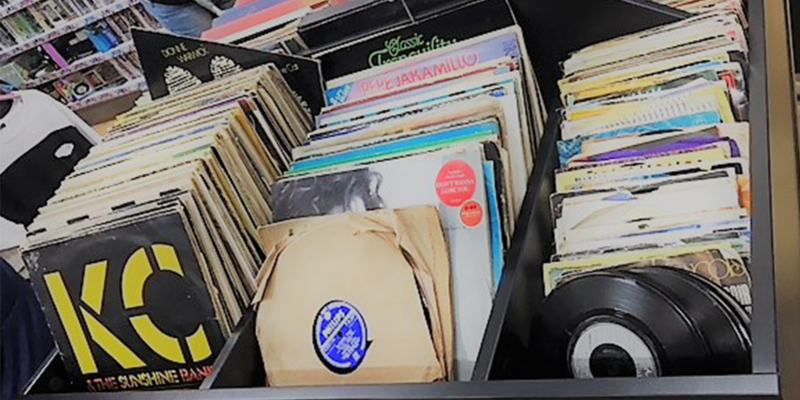 Taking into consideration the vinyl revival, it’s clear that second hand vinyl and CDs are favoured above brand new, with 67% of 18-24-year-olds, 66% of 35-44-year-olds and 66% of 45-54-year-olds stating they would buy pre-loved vinyl and CDs, versus 54%, 59%, and 56% respectively, who would buy brand new. Charities are perfectly poised to set up specialist music and book stores that all generations would just love, especially now most high street music stores are closing. Why not set up a vintage entertainment shop with a café and music booths, making the shop a retro destination? For years, many charities have set up specialist shops selling books, fashion and even bridal, but is the future of charity retail about branching out and opening more specialist stores in favour of the traditional ‘everything under one roof’ approach? It’s a huge possibility. Specialist stores shouldn’t be at the detriment to traditional shops, people still love the ‘rummage’ of a charity shop and that sense of being able to find something rare or unique. Where specialist stores really improve a charity’s retail operation is when they have full visibility of what stock sells best in which location. Understandably this may be difficult for most charity retailers, but it is achievable. Having a fully integrated charity retail management platform that has detailed stock and sales reporting is the leap charity retailers must make to achieve success with specialist shops. Having access to this real-time data gives charity retailers the opportunity to see what sales are like per location, allowing you to be proactive in acting upon the information available. Moving stock between your sales channels depending on what is popular, is a great way to increase sales and income for your stores. Opening a specialist shop is a huge commitment and something that can’t be done on a whim. A great way to test the water would be to create a pop-up shop, either at a local market or at an event in the local area. The Charlie Cookson Foundation in South Shields operate a market stall every Friday in South Shields Market Place. Ran by Charlie Cookson’s Nanna and a team of volunteers, all funds raised go towards helping support the families of seriously ill children with life limiting conditions. This not only gives the charity more visibility within the community, it adds to the sales taken by the store in the town centre, increasing revenue and funds for the charity and their good cause. Why not give it a go? If you are considering opening a pop-up shop and want all your stock, sales and donor information kept in the one place then a mobile point of sale (mPOS) solution is going to be perfect. mPOS that fully integrates into your EPOS and retail management software means that you don’t have to go through the manual process of uploading all sales taken offsite – bonus. Plus, if its completely integrated, charities can still capture Gift Aid, set up new donors and scan in current donor and loyalty cards, making it truly omnichannel – extra bonus! Over 50% of consumers surveyed online would consider purchasing clothing (52%), home décor (53%), toys (51%), books (66%), vinyl/CDs (57%) and consumer electronics (52%) through an online marketplace. These marketplaces offer huge potential to charities, it not only lets you get maximum revenue for your items, but ecommerce sites such as eBay and Amazon let you set up various specialist stores online. National charity Sense have a dedicated Amazon shop for rare or interesting books and classic records, a perfect way to increase reach amongst the 18-24 and 35-44 year-old consumers who are prepared to buy these goods second hand. 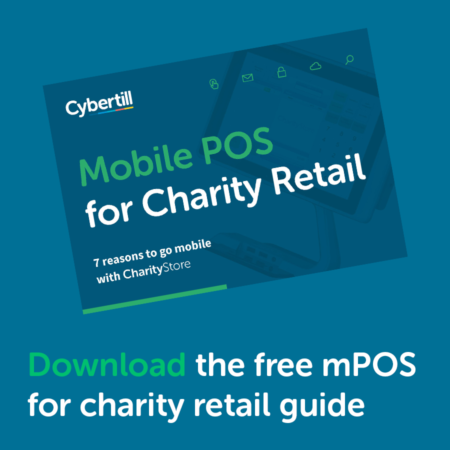 As charity retail becomes more aligned with the high street it’s important that they make the most of the tools available. Increasing numbers of Gen Z shoppers (18-24-year-olds) are more aware of the global community they are part of, having more access to what’s going on in the world and the work charities are doing to help. The future of charity retail is more than social media, ecommerce and specialist shops, its about understanding shoppers and donors, understanding what they want to buy and through which channels they want to buy from. It’s about embracing retail changes, not putting them off. Statistics in this blog were taken from the online YouGov Survey on behalf of Cybertill ‘Future Shopping’, completed by 2083 adults between 6th – 7th March 2019. The figures have been weighted and are representative of all GB adults (aged 18+).